This page will guide you through configuration and basic use of the Level365 CRM Connect NetSuite Add-in. It is expected that you are already familiar with the Address Book, Call History and Preview window, and the basic concepts of integration and screen popping using the Add-ins. NetSuite and the database used to store your contact data should already be installed and working normally before proceeding with this integration. 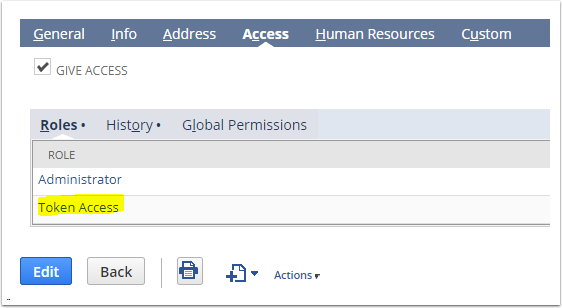 Locate your NetSuite account number by logging your account and clicking on Setup > Integration > Web Services Preferences from the tabs near the top of your dashboard. Your NetSuite account number is shown near the top right hand corner of the 'Web Services Preferences' window. 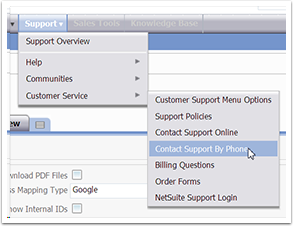 Locate your NetSuite account number by logging into your account and clicking on Support > Customer Service > Contact Support By Phone from the tabs near the top of your dashboard. Your NetSuite account number is shown on the 'Contact Us By Phone' window that pops up. Right-click the Level365 CRM Connect tray icon in the system tray menu and then left-click the Configuration option from the menu that pops up, this will open the 'Configuration' screen. 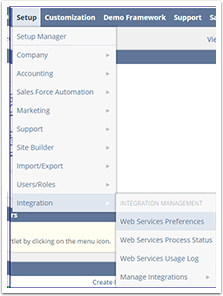 In the 'Integration' area, click the Add new button, select NetSuite from the 'Type' dropdown box and then click the Set button. On the Configuration group, enter your NetSuite account login information. In the 'Account' box, enter your NetSuite account number. Enter your email and password into the appropriate text boxes. 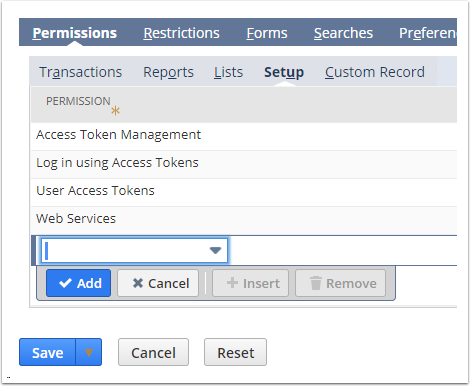 Alternatively, you can use the Token-based authentication to configure the NetSuite integration. To configure it this way, you will need to enter your Consumer Key and Secret, and your Token and Secret. To retrieve these, see Finding your Consumer Key. 1. Enable the SuiteCloud Token-Based Authentication feature in Company Setup by browsing to Set-up > Company > Enable Features > SuiteCloud. 2. 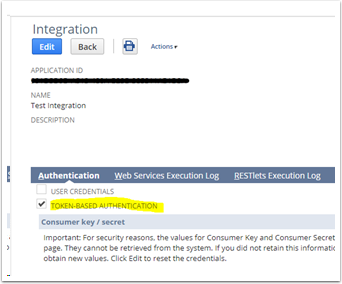 Create an Integration Record with the Token-Based Authentication enabled. Make note of the Consumer Key and Secret that is generated. This is achieved by browsing to Set-up > Integration > Manage Integrations. To create one, browse to Set-up > Users/Roles > Manage Roles > Create New > Permissions>Setup. 5. 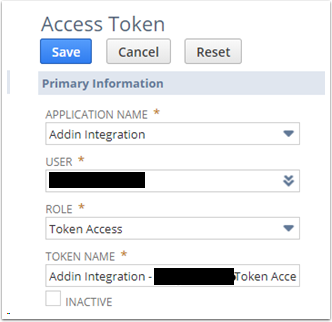 Create a new Access Token for the integration (from step 2) and User (from step 4). Note the token and secret that is generated. (Set-up > Users/Roles > Access Tokens). Make note of the Token ID and Secret created. Paste the Consumer Key, Secret and the Token ID into the Level365 CRM Connect Configuration screen. In the 'Entities' section, select the NetSuite account contact types you want to be used by checking the corresponding boxes. Under the heading 'Data Connection', check the box 'Create activity on call end' to automatically log the call activity to the contact in NetSuite or, to manually log the call activity, check the box 'Show activities on Call' Window. When the caller's number is recognized within NetSuite, this will present an additional button within the Level365 CRM Connect program call preview window. Pressing this button will open an activity / note taking window in NetSuite, pre-populated with important call details. The above activity logging features may not yet be available in your version of the Level365 CRM Connect application. The contact needs to have a company associated with it to create the call activity. To test if the configuration worked, enter a phone number from your NetSuite account into the 'Telephone' box in the 'Integration test' area and click the Search button. The results will be displayed after a few seconds.